At 2.30am on Friday Oct. 19th, 36 bleary-eyed students arrived at the school to depart for their hockey trip to Malaga. 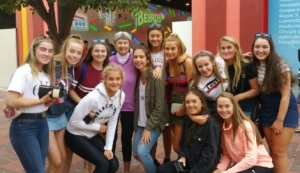 On arrival, they were met by tour guide Juan, who took them to their hotel, for a quick freshen up and bite to eat, before heading to Benalmadena Hockey Club. This was where the team would be based for the next three days, for training sessions and challenge matches against local sides. The sessions were tough and the local teams really put the girls through their paces. 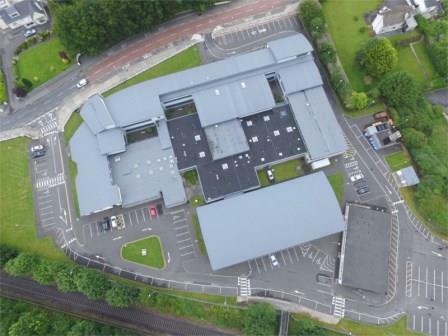 The players were thrilled with their training sessions, which paid off greatly when they got to show off new skill against Sligo Grammar on their return. 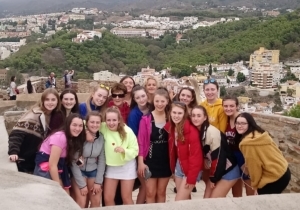 There was downtime enjoyed also as the girls explored Malaga and did a spot of shopping. However, Ms. Digby was quick to remind them of their 10kg baggage restriction for the return leg of the journey. Muscles must have been sore after their intensive training sessions as they made an attempt to use the mobility scooters to zoom around Decathlon! The girls were also excited to get the chance to catch up with their old classmate, Sonsoles, who is now back home in Malaga. They also got to see a very fast-pa ced men’s match as Benalmadena took on San Fernando. Thank you to Ms Fallon, Mr MacCarthy, Mrs Digby and Gudgie who organised the trip and travelled with the girls. We would also like to thank the BOM for their support for the tour. The students were a credit to the school and their parents while away.